This sterling silver belly bar features a classic heart design which is set with clear crystals, and has a matching sterling silver top ball. 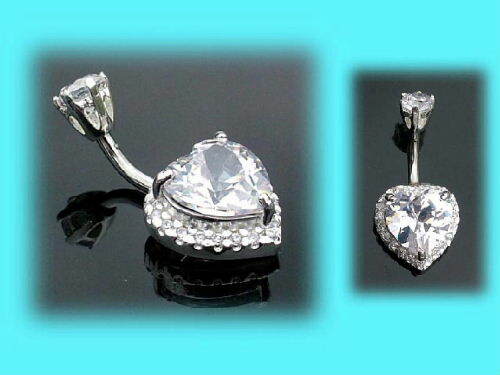 These heart belly bars are available with a 6mm, 8mm, 10mm or 12mm surgical steel bar. The best eCommerce software by ShopFactory powers P9589. All-in one eCommerce and shopping cart software.